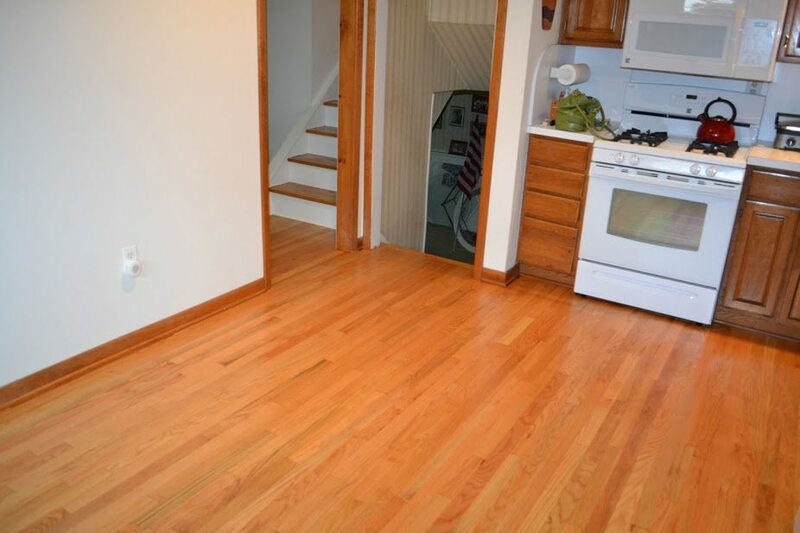 The hardwood floors in this Florham Park home had suffered years of wear and were in need of refinishing. Refinishing is not only a way to remove the stains and discoloration from your hardwood floors, but also an important process to maintain and protect your floors. 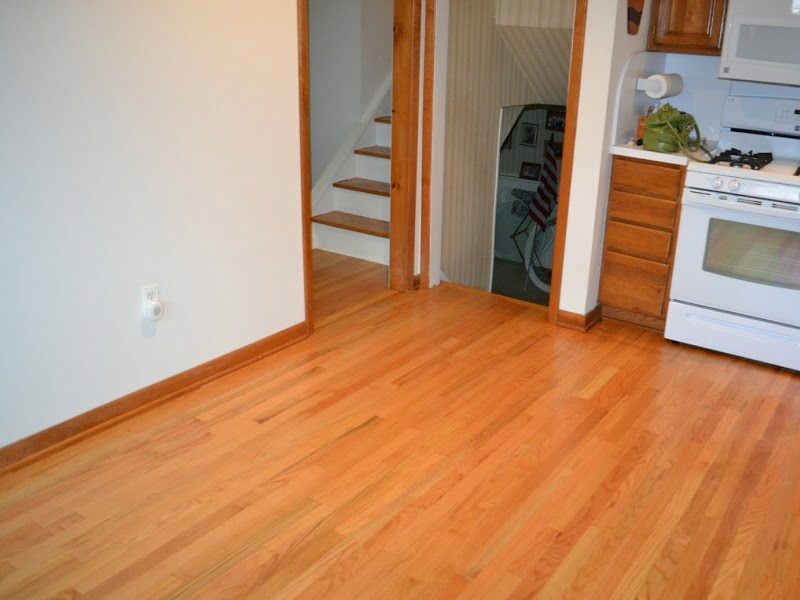 These homeowners called in our team at Monk’s to perform a dustless floor refinishing and to install moldings. Changes of this sort are a great way to improve your home! 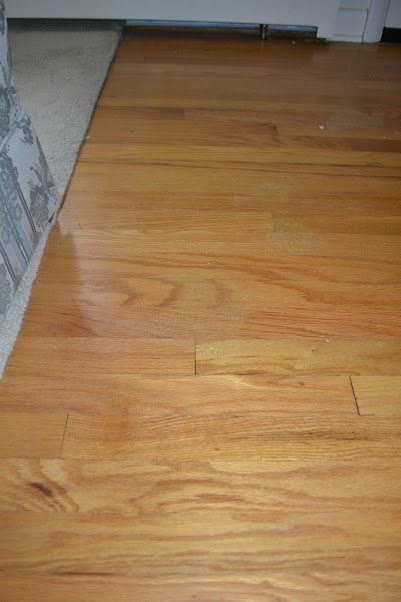 As you can tell from the above close up photo, this home’s floors were in desperate need of some help from Monk’s! 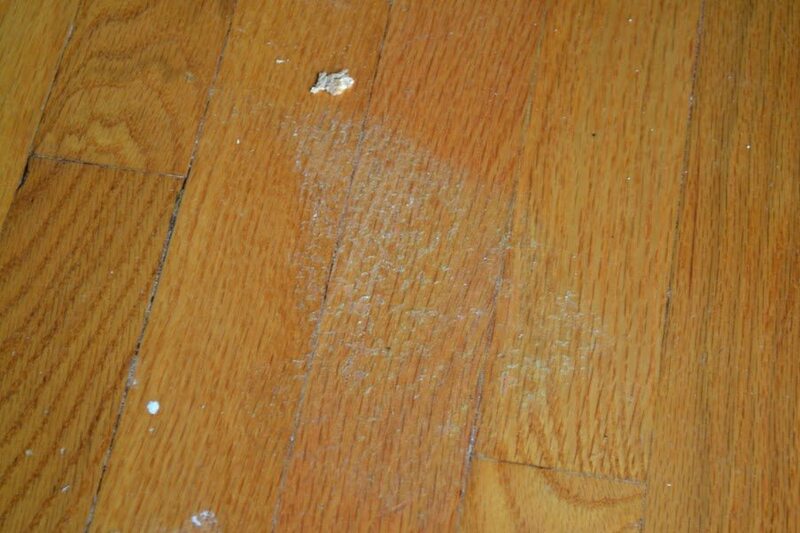 Luckily, our dustless floor refinishing system is not only clean, but also efficient. These floors were transformed in only three days! 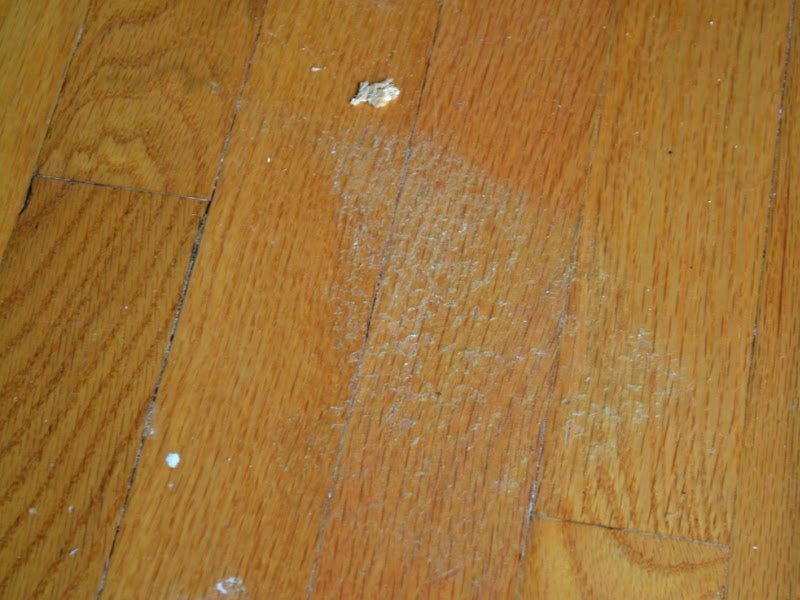 This dustless floor refinishing project would include the living room, kitchen, two sets of stairs, upstairs hallway, and master bedroom. In some projects there are certain areas where the floor is too damaged to benefit from a refinish and in that case Monk’s can also install new hardwood floors. However, in this case our team was able to refinish all of these floors as they were. 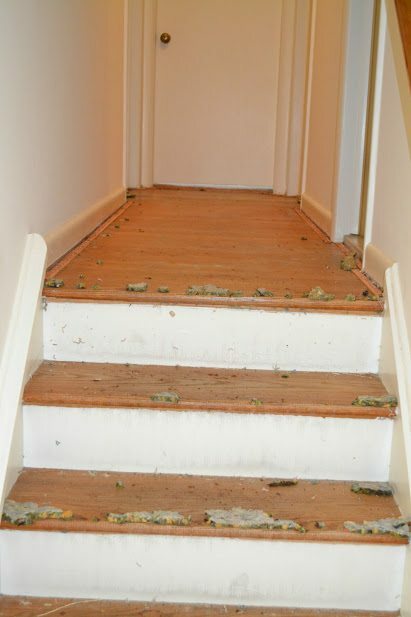 Even if you would like an area refinished that is currently carpeted, our team can remove this carpet and refinish the hardwood floors underneath. 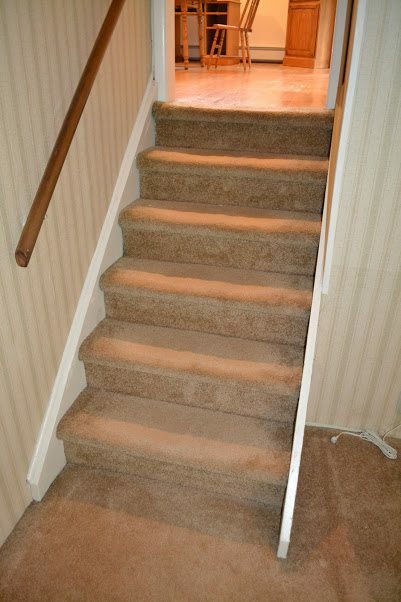 More than just the stairs were carpeted in this Florham Park home! Here we see the bedroom’s carpet being ripped up and removed to make way for a dustless floor refinishing! A system of hoses is brought into the house to complete the dustless floor refinishing process. Dustless floor refinishing is a great method of refinishing because it leaves you without the hassle of dirt and dust that comes with other refinishing processes. It also minimizes the amount of construction that needs to be done inside of the house. After all of the rugs are removed our team at Monk’s is able to begin the sanding process. When the sanding is complete, a coat of sealer is applied to the floors. After the sealer, our team at Monk’s applies two coats of polyurethane. After ripping up old carpet, sanding the floors, applying sealer, and poly, it is amazing to see the beautiful floors that are uncovered in only three days time! Plus, the dustless floor refinishing system has the added advantage of no added clean up time! Our team at Monk’s also installed new moldings during this project. New cove moldings were added to all of the stairs. New moldings are always a great finishing touch! The combination of newly refinished hard wood floors and quarter moldings (visible in the next two pictures) are great ways to breathe new life into your home! Other Types of Work: tile floor installation, epoxy garage floor refinish. If you are considering dustless floor refinishing or molding installation we would like the opportunity to tell you why we think we are the best dustless floor refinishing and molding installation contractors in Florham Park, NJ 07932.